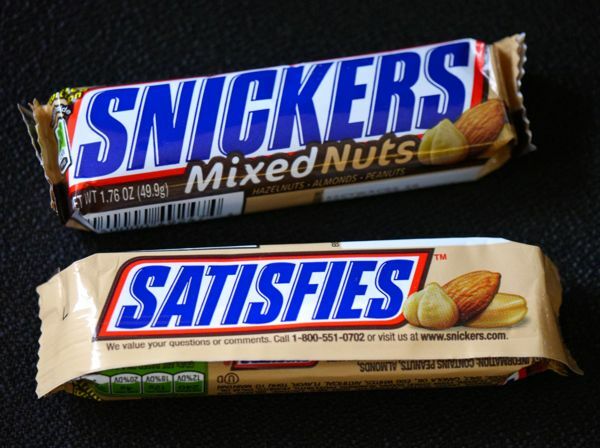 The Snickers candy bar brand from Mars (Hackettstown, NJ) has expanded to include several variations over the years. Today's milk chocolate-covered Snickers Mixed Nuts bar contained, as promised, a mix of crunchy peanuts, almonds and hazelnuts—the latter nut being a new addition I believe, as well as the traditional sweet caramel and nougat. 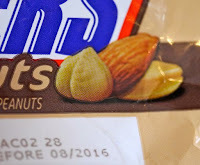 This latest Snickers (Limited Edition bar) came out in November 2015, just in time for Day #7 of Chocolate and Hazelnut Theme Week.